An Attempt to Balance Opinions, Truth, Art and A Realm of Make-Believe. This week for one of our mini-vacation destinations, we are in California. 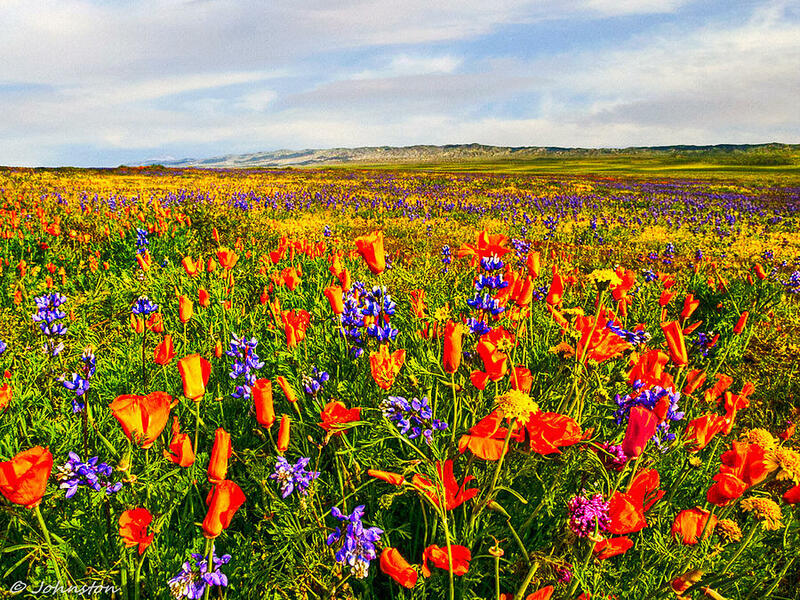 More specifically Antelope Valley California Poppy Reserve State Natural Reserve. This beautiful valley is located in the Mohave desert and if you visit it in the spring, you may be rewarded with a beautiful view like the one pictured above! The above photo is of my home state, Colorado. As a matter of fact, the Flat Top Wilderness was nearly in my backyard. I would be lying if I didn’t admit this picture makes me a bit homesick. I would highly recommend you visit this place if you are ever in the area! With 230,830 total acres, you could definitely have some of that alone time you are craving. And please visit the owner of the above picture on his blog here. I do not own the rights to the pictures above. They were found via Google search. No copyright infringement intended. Next Music for the Week.